Transitioning out of the military does not need to be a tricky or complicated proposition. Know that being a veteran in this day in age can be a challenge but know that it is one of your greatest assets. All you need to do is figure out how to best leverage this experience. The following post is Part 1 of a 2 Part Series designed to help get you have a positive transition into the private and on track for a successful post-military career. 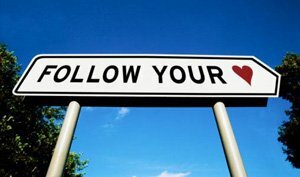 Be passionate and follow your heart. The first aspect of any new venture is setting yourself up for success. I can think of no stronger foundation in seeking a new career than following your passion. Passion is likely one the major reasons you signed up for military service in the first place and it’s likely the common thread in anything you’ve been successful at doing in your entire life. So, first and foremost, as you make the transition out of the military, you must do so passionately. What do I mean by that? It’s looking deep into your heart and listening to what it is telling you. The decision of what job to pursue and what offer to ultimately accept can be daunting. However, engaging in some soul-searching and asking some very simple questions can create a framework to make this decision easier. I am assuming your discharge was honorable, you have leadership experience, you have a good educational foundation, and if you are married that your spouse is supportive of this change. The first thing you must embrace is the world is, in fact, your oyster. Starting with this expansive, positive frame of mind will give you the freedom to think as big as you need to be thinking at this point. You ever heard that there is no bad idea while brainstorming? Well, that’s debatable, but let’s stipulate that fact for the sake of this conversation. Second, have a piece of paper handy as this will involve you writing down your responses. Any old piece of paper will do. I wrote my list on a ripped out page from a magazine. Thirdly, be committed to this process so when you find that inspired moment, be ready to give to it whenever and wherever it takes place. I was sitting in the Portland International Airport heading back to my then home in Los Angeles. What are you hoping to achieve by doing this exercise? What you will not determine is exactly what job you want. What you will identify are the essential qualities of the job you want so you can better know a good opportunity when you see it. You will also be better able to tell other people in your network (friends, family, other veterans, etc.) what type of job you are looking for – this is very important. - Do you want to live in the inside or outside the U.S.? o I chose to live in the U.S. If you choose to live outside the U.S., modify the following exercise accordingly but it still works. - What are the top 10 cities in which you could see yourself living? o Write down the cities but really think deeply about why those cities matter to you (you may or may not want to write that down, up to you). Do you see a theme emerging? If so, pay attention to that theme. - What type of role do you want to play in your new organization? o Do you want to be a manager, or a team contributor? At what level? I left the military with an MBA and I wanted to put myself on the senior management track so I wanted to make sure that wherever I went I could see the opportunity for me to do just that. - What are the qualities of the job and company you are looking for? o Note that you are not asking yourself what job you want or function you want to perform. The transferable skills you developed while in the military will help you determine that. My answer to this question revealed fairly strong qualities around the level of influence I wanted to have in whatever organization I joined. It revealed my fears of being lost in the cogs of a large company, or, as I said to myself, being a racehorse with my blinders on not expected to do anything but run straightforward. I wanted to have access to the senior leadership of the company so I could not only impact major decisions but be a part of the process to see how those questions are raised and debated. For me, it was less about what industry I ended up working in and more about where I was living, what was I going to learn, and what kind of impact I wanted to make on the organization. As I evaluated opportunities, it was clear to me that certain jobs were going to let me start to realize my full potential while others weren't just going to present the opportunity for me to build the foundation I was looking to build in my new life in the private sector. In job interviews, when I did reach out and begin a dialogue with potential employers, it became obvious that I knew why I wanted the job. It was obvious that I was thinking bigger than my daily ability to contribute to tasks but wanted to help whatever organization I joined reach its full potential just as I was seeking to reach mine. Closing thought… Be honest to yourself. It’s just you and any answer is a good answer. It is strange what happened to me as a result. Shortly after I went through this exercise, I lost track of that piece of paper. Months later, I left the military and engaged in the job search. I landed with a small business start-up in the Washington DC area. About 3 months into my new job, I found that piece of scrap paper and re-read my responses. The joy I felt and the smile that came across my face was terrific as I realized that I did, in fact, follow my heart and I satisfied everything I wrote to myself sitting in the Portland airport nearly a year earlier. About the Author: Craig Parisot is currently the Executive Vice President and Chief Strategy Officer of Altamira Technologies Corporation, a three-hundred person company headquartered in Mclean, VA. Since separating as a Captain, he has successfully help build and sell two companies and is very active in the not-for-profit and business community in the greater Washington DC metropolitan area. Stay tuned for his new website. In the meantime, follow Craig on Twitter @CraigParisot.